Loren Camp has over 20 years experience in the financial industry he can draw on to answer your investment, financial planning, and insurance questions. After graduating from Pacific Lutheran University in Tacoma, Loren began his financial career working at the Chicago board of Trade in the futures trading pits. From there, he became an individual broker and moved to the largest retirement company in the United States, working with high net worth clients offering investment and estate planning services. Loren obtained both the Certified Financial Planner and Chartered Financial Analyst designations in 2003. He is currently licensed in the State of Washington for both life, disability, and long-term care insurance. He also holds the series 7, 63, & 65 securities registrations. After living in Colorado for 17 year, Loren moved back to the Pacfic Northwest and worked for a fee-only financial planning and CPA firm assisting individual and small businesses with both their tax and investment needs. 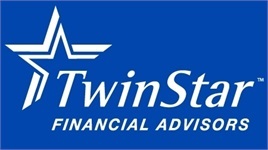 In 2014, Loren joined the TwinStar Financial Advisor team and is primarily working out of Olympia and the Grays Harbor area.